Due to the evolution of horizontal drilling and slick water hydraulic fracturing, the rapidly expanding production of unconventional gas resources (i.e. shale gas) has transformed the US, almost overnight, from becoming the largest LNG import market to a self-sustaining gas producer and a net gas exporter. Since 2009, the US has overtaken Russia as the world’s largest gas producer. The combination of three factors: (1), a drop in demand linked to the global recession (2), an increase in incremental US non-conventional shale gas production and (3), the arrival of new LNG delivery capacity, have together created a sudden “gas glut” – an overcapacity of LNG – that has led LNG to become less expensive than pipeline-gas (based on long-term contracts), contributing to the de-linkage of gas prices from the price of oil. This turn-about has worldwide geopolitical and geoeconomic implications. Some estimates put North American recoverable unconventional gas reserves at a level that could potentially satisfy total natural gas demand in the US for the next 45 years. Others question the economic feasibility of extracting this gas under current market conditions which may lower overall reserve estimates. Regardless of where one stands on the reserve question, the fact is that unconventional gas production in North America now accounts for about 50% of US gas production and may increase to 70% of entire US gas production by 2030. Two key technologies – horizontal drilling and "slick water" hydraulic fracturing – account for this change. In general, the US shale gas revolution has been based on five pillars: (1) fiscal credits and funding availability; (2), the technological nature of the industry; (3), shale gas’ regulatory framework; (4), a competitive market structure; and (5), the availability of service industry competition. The potential of unconventional gas resources on a global level and in Europe is also vast – it is a resource several times greater in magnitude than that of conventional sources. 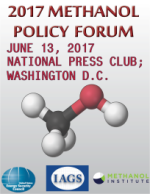 While globally recoverable conventional gas resources are estimated to amount alone to 404 tcm, unconventional gas resources, meanwhile, are estimated at over 900 tcm according to the US Geological Survey (USGS) and the German Federal Institute for Geosciences and Natural Resources (BGR). From these 900 tcm, at least 380 tcm appear recoverable, taking the total recoverable conventional and unconventional gas resources to nearly 800 tcm – equivalent to about 250 years of current production. The global prospects of an unconventional gas revolution and those for Europe including the geoeconomic and geopolitical implications for the EU.-27 are worth examining. As the EU continues to advocate energy security, the European Council placed much hope (at its first special energy meeting on February 4, 2011) on unconventional gas and the possibility that it will radically change the supply outlook for natural gas within a few years as it has done in a North American context. Both the European Commission and the IEA estimate total recoverable unconventional gas reserves in Europe between 33 to 38 tcm, of which 12 tcm are tight gas, 15 tcm shale gas, and 8 tcm coal bed methane. In comparison, total conventional gas reserves in the EU amount to 2.42 tcm. Such sizeable resources have the potential to radically reshape the European gas supply picture, with shale gas playing a vital balancing role for regional gas markets. In theory, these reserves might be able to cover European gas demand for another 60 years. While the present recoverable shale gas resources appear still limited in Germany (with 226 bcm in comparison with 78 bcm of an annual gas consumption, of which 60 bcm are imported), Norway (2350 bcm), France (3,600 bcm) and Poland (3,740 bcm), Norway as Europe’s largest gas exporter, has only 2220 bcm of proven reserves of conventional gas. Moreover, Germany has large “additional, still undefined shale gas potential” as other European states according to the US Energy Information Agency. Meanwhile, concessions for shale gas test drilling have been granted in the Netherlands, France, Germany, UK, Sweden, Hungary, Switzerland, Ukraine and in Poland. Poland is at the forefront of this potential revolution. Critical factors moving forward are availability, cost and environmental compatibility. According to some estimates, unconventional gas plays in Europe are more complex as they are deeper and less porous than those in North America. Given the uncertainties over organic content, shale pressure, and mineralogy there are several questions remaining as to how these unconventional resources can transform the European market. Regarding European geology one issue remains as to how much shale rock formations contain and at what cost the gas can be produced. What is known about potential European shale rock formation is that the geology is more fragmented creating faults that complicate the drilling and appraisal process. With further technological improvements the potential to develop more environmentally friendly drilling technologies will enable the gas industry to cope with the many water issues related to drilling reducing obstacles over time. Moreover, European rock strata containing unconventional gas resources are generally located more deeply in the earth and beneath groundwater, thus raising the costs for exploration drilling and lowering even further the risk of groundwater contamination. The other underestimated obstacle connected to water is its scarcity. Very large volumes of water are needed to unlock shale gas from rock formations will cause competition with the agriculture industry over water. Millions of gallons of water are likely to be needed per well for fracturing operations. Sourcing of such large quantities of water in areas where water is scarce and environmental regulations apply will be an obstacle to unconventional gas development. Yet, what is often overlooked by these allegations is that in most shale plays 70% of fracturing water can be recovered, drastically reducing the amount of water needed. Where ground water is not present, technological improvements now make it possible to use water from brackish aquifers. Compared against other energy resources, shale gas is by far the most water efficient of all the “base-load-level” energy resources, and when used for power generation in a NGCC power plant, is among the most water efficient at generating electricity. European environmental legislation and water policy is outlined in the EU Water Framework Directive 2000/60/EC (WFD). The Directive 2000/60/EC (WFD) authorizes member states to inject water containing substances resulting from exploration and extraction of hydrocarbons or mining activities. In spite of EU environmentally rigid regulation, management capacities and experiences associated with the “silent revolution” of multi-fracturing horizontal drilling technologies, the prestigious Dutch Energy Council argues that current environmental legislation in the EU and the Netherlands is not only adequate to ensure an environmentally friendly exploration and production of unconventional gas resources in the EU but envisions greater business opportunities for exploration. Most environmental concerns in the US arising from unconventional gas arise from a lack of environmental stewardship from small independents combined with ineffective state regulatory framework and monitoring; EU regulation is more robust and European shale gas is more likely to be developed by International Oil Companies (IOCs) who have a good track record in managing environmental impacts. Public reticence with regard to accepting water and air pollution around gas rigs, compressor stations, and the general environmental surface footprint surrounding drilling pads are especially important in Europe due to the continent’s densely populated areas. France, for instance, has recently extended a ban on searching for natural gas and oil in shale rock for the time being (albeit heavy lobbyism from the French nuclear and conventional gas industries have contributed to the ban). This leads to another obstacle; shale gas production requires hundreds and thousands of square kilometers, compared with the tens or hundreds needed for conventional gas development. In Europe, this is problematic given a population density of three times greater than in the US. This, will require talking to hundreds of landowners. Shale gas can help fulfill political agendas and solve regional development issues but this must be balanced with the issue of public participation and the allocation of profits to these regions. Property rights in Europe are treated differently than in North America. In the US, the owner of the land also owns the subsoil resources. This is an important incentive to landowners to allow gas drilling and production on their land. In contrast, in most European countries, the state owns the rights and receives royalties from the development of subsoil resources. This has two major implications. First, the incentive for unconventional gas development of a European landowner is low. Second, there is little incentive for an environmentally conscious European public to approve gas development given these circumstances. 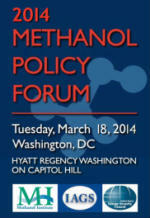 This may increase a NIMBY (not-in-my-back-yard) position on shale-gas drilling. However, this is not unlike the development path taken in the US, where environmentalists have objected to rampant unconventional gas sector growth. Unconventional gas exploitation is at an embryonic stage. Indeed, while Europe's gas distribution infrastructure is well developed, the services sector that would support an unconventional gas industry is not. In addition, Europe also lacks suitable technical equipment, such as drilling rigs, and has extensive state control over local rig markets that reduces competition and leads to higher costs. Since 2006, the EU’s dependence on the import of natural gas has widely be seen as the “Achilles heel” of Europe’s energy security –increasing dependency on a few problematic suppliers. In November 2000 the European Commission warned, in its first ‘Green Paper’, that in the next 20-30 years up to 70% (presently 50%) of the Union’s energy demand will have to be imported. The EU’s own energy production is forecast to fall from 46% today to 36% by 2020. These imports have cost an estimated €350 billion – €700 for every EU citizen. What is more, the gas import profile of the EU-27 is not diversified; 84% of gas is imported from three countries: Russia (42%), Norway (24%), Algeria (18%). Even worse, Latvia, Estonia, Finland and Slovakia are entirely dependent on one supplier – Gazprom, the Russian energy giant – while Bulgaria, Lithuania and the Czech Republic are around 80% dependent on the same supplier. Furthermore, Europe, as the main potential consumer of Caspian energy, has been sliding into a dual dependence on (1) traditional Russian supplies and (2) Russian-controlled supplies from Central Asia and the Caspian Region (CACR). Already, almost a third of the EU’s total gas imports are coming de facto from this region via Russian gas pipelines and as a result of Russia’s gas swap deals with countries of Central Asia and the Caspian Region. Against this background, the EU-27 and its member states need to prevent Russia from being able to exert its excessive monopoly pricing power. The EU’s agreed energy security strategy is enshrined in its declared 20-20-20 percentage objectives for expanding energy efficiency and renewables (from presently 9%) and decreasing its greenhouse gases by 2020. If this policy is successful both the EU’s energy demand and mix will look very different beyond 2020. Given global and European prospects for unconventional gas production it is clear that the availability of this gas will extend global gas overcapacity until at least 2020. It seems unrealistic to argue that the EU, at present, needs all the gas pipelines currently being discussed or new LNG-terminals. Both the European gas industry and the EU member states need to prioritize the most economic new pipelines thereby increasing EU energy security whilst considering options for the new re-gasification terminals that would facilitate higher and more flexible LNG imports in times of crisis. It appears that European unconventional gas development will only be a significant option after 2020. The advantage of unconventional gas is that it is a domestic resource that does not receive public subsidies unlike other power resources or fuels such as renewables, nuclear power and coal in Europe. Further it has lead to in some cases a re-negotiation of European gas prices and has already caused an average of 15% of Gazprom’s supplies to be delinked from the oil-index. It has also weakened Gazprom’s near-monopoly over Europe. Thus, unconventional gas, even without being produced in Europe, puts a certain price cap on high Russian gas prices particularly if Russian gas prices are higher than the brake-even point for European unconventional gas. Russia and Gazprom’s strategic options to respond are limited. Although Russia has the largest gas reserves of conventional gas in the world it is facing growing competition with CACR gas exporters for its downstream markets. In 2008, more than 80% of the CACR gas exports were still destined for Russia, yet by 2010 those exports had already declined to 55%. Further, in 2010 the United Arab Emirates (UAE) negotiated huge investments in Turkmenistan to gain access to and positioning itself to exploit the country’s vast gas reserves which could help fill the EU’s Nabucco pipeline rather than Gazprom’s planned South Stream Pipeline. As a result, the UAE and Turkmenistan may soon be competing with Russia to transport gas to Europe. China has also entered the fray by declaring its intention to invest in Ukraine’s offshore oil and gas fields at the expense of Russia’s already decreasing geopolitical influence in what it considers its own backyard. Although the 2010 Russian-Ukrainian rapprochement and bilateral energy cooperation has strengthened Moscow’s position, the new pro-Russian Ukrainian government still has no interest to sell its pipeline system to Russia or let it acquire a majority ownership position in it. 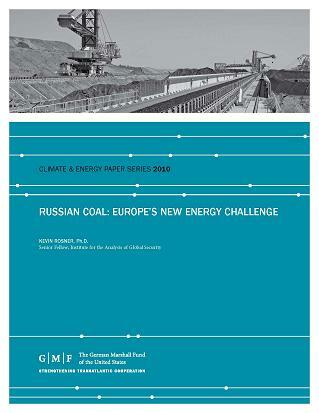 Moscow’s policies have become unintentionally the major enabler for unconventional gas development in Europe. Against this background, and Moscow’s fears of losing further markets share in its most important export market for conventional Russian gas it is hardly surprising that representatives of the Russian government and Gazprom try to downplay the importance of a shale gas in Europe and to negatively portray its implications on the environment and on the EU’s climate mitigation efforts. Gazprom must diversify as its control over the European market suffers. It is expected that Gazprom will operate in three distinct markets- (1) in its traditional European market; (2) in a de-regulated and compromised domestic market; and (3) in a new Asian market. However, indications for a new eastern strategy for Russian gas supplies to China may not solve all the problems it could be facing. Although China is already moving towards a more gas reliable economy, Petrochina estimates that China itself may have 45,000 bcm of unconventional gas. This would be greater than Russia’s proven conventional reserves (43,000 bcm). Further complicating Russia’s Eastern strategy is the high cost of building new infrastructure to that country and developing expensive new upstream projects in East Siberia. This reality will reduce Gazprom’s ability to reduce its exposure to Europe. China’s gas strategy has been driven less by cost driven and more energy security driven through fuel mix diversification. The ‘US-China Shale Gas Resource Initiative’ which provides an opportunity for US firms to enter the Chinese energy market is yet another hurdle preventing Russian gas from going East. In sum, China is more likely to pursue an energy security agenda which will help its domestic economy produce unconventional gas rather than enter into new great dependencies with expensive Russian natural gas. Another side effect of the ‘Sino-American Shale Gas Resource Initiative’ is that it reduces Chinese dependency on the Middle East and discourages China from breaking the sanctions on Iran in order to satisfying its energy thirst. 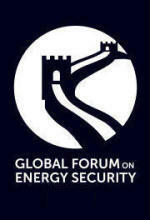 No longer in need of increased gas imports from the Middle East, China will feel less vulnerable in its energy market. Meanwhile it is not only the EU that may benefit from the shale gas revolution but also Ukraine. The Ukrainian Ministry of Environment and Natural Resources and the National Joint Stock Company (NAK) “Nadra of Ukraine” declared in November 2010 to have the biggest, or one of the world’s biggest, shale gas deposits. The Ukrainian government is to investigate the potential volume of shale gas by mid-2012 and has invited international investors to analyze and develop its shale gas deposits. In February 2011, at the Strategic Partnership Commission meeting of the US-Ukraine Energy Security Working Group, both sides signed a 'Memorandum of Understanding’ to establish a framework for technical cooperation that will assess unconventional gas resource potential in Ukraine. This agreement includes the involvement of the US Geological Survey (USGS), which is currently undertaking a global unconventional gas resource assessment. Despite all discussed constraints, North America’s "quiet unconventional gas revolution” has made unconventional gas less expensive than conventional gas. Advances in technique and technologies have opened huge US reserves of unconventional gas and made the country virtually self-reliant in terms of its gas-supply needs. Therefore, shale-gas drilling is unlikely to be stopped for environmental reasons in the US and potentially in other countries. While there are hurdles for unconventional gas development in Europe it still serves as a game changer on the continent. While Europe’s technically recoverable unconventional gas resources may only cover 10% of its overall gas supply demand (according to the latest EIA report), this still poses a major threat to Gazprom’s traditional business model. While the magnitude of the ultimate impact of unconventional gas in Europe may be less than in the US, it still gives European consumers new leverage in balancing its supply-demand equation, and in helping to support European energy security. Poland may ultimately serve as a barometer of Europe’s potential shale gas revolution in enhancing that nation’s national energy security and in increasing US economic interests in Poland. Regardless of how concrete the outlook for European unconventional gas development appears, and despite of whether or not unconventional gas will become affordable and sustainable in the mid-to-long term in Europe, shale gas has already changed the European gas market even before a single well has been drilled, or a single molecule of unconventional gas has been produced from European basins. In closing, the interaction of EU energy market liberalization, the impact of more LNG supplies and the potential introduction of Caspian gas into EU markets and the development of European unconventional gas will decrease Russia’s sahre in the European market and will enhance EU energy security. These developments may ultimately create more reciprocity in the energy field between the EU and Russia and lead to more symmetry in an interdependent EU-Russian energy partnership. Maximilian Kuhn is Chief Editor, EUCERS Strategy Papers and a Research Associate at the Centre for Energy, Marine Transportation and Public Policy (CEMTPP), School of International and Public Affairs (SIPA), Columbia University. Frank Umbach is Associate Director of EUCERS as well as Senior Associate and Head of the Programme “International Energy Security” at the Centre for European Security Strategies (CESS GmbH) in Munich-Berlin.